Discussion in 'Guitars in General' started by Ides of March, Jul 7, 2008. If you could have an electric or acoustic, not on a desert island but in your house what would it be. I am curious to see what the consensus would be. I love playing my electric but there are times when you are alone with a mic and he acoustic just sounds perfect on a good song. I would probably pick my Taylor 310ce. My wife says when the "whole world craps out", I can only use an acoustic. I say I can quietly play a Strat and they never find me....LOL! I love my Martin and waited oh so long for it but I would have to go electric. A recent change for me but I have to go with a Tele. Yeah, a Tele for me too. Gibson SG Supreme, modified with a coil tap function. My '59 reissue Les Paul. That's a tough one, but I'd have to go with my Gatton sig Tele. A Grissom sig PRS is coming later this month though, so a battle of the sigs may be in order before a final decision is made. A great Les Paul or similar.Actually my Collings CL would do nicely. If amplification was still an option, it'd be my '53 ES-175. If unplugged was the only way to go, it would be my '56 LG-2. 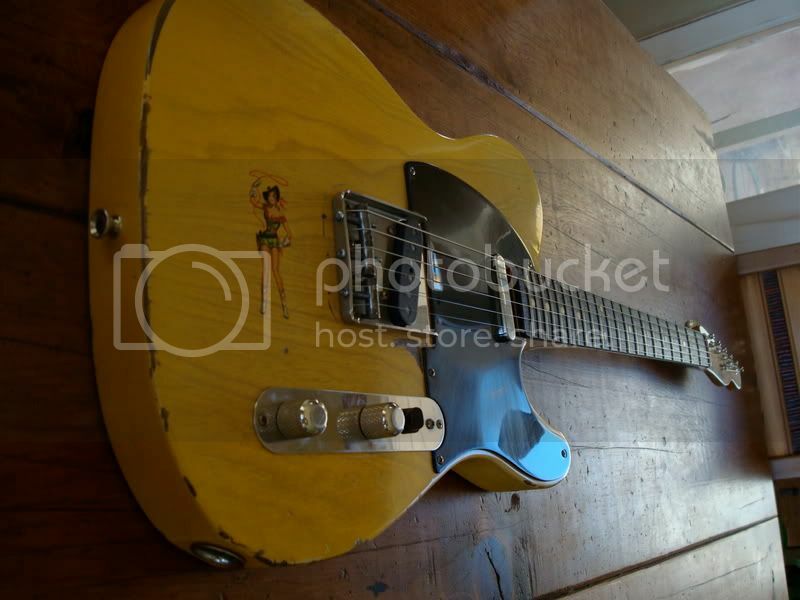 No doubt a Tele. Which one.........that's gonna take some thinking. Since I could only have one guitar it would have a Splittable Neck Humbucker, a strat single coil in the middle, and a broadcaster type Tele in the bridge with a 5 way switch and a Push Pull on the Volume knob for the Humbucker to split. Swamp Ash Body . Maple neck and Fret board.